1. Your students need tuition because most teachers are too busy with their ‘holistic education’ crap to care about teaching. 2. ‘Holistic education’ is crap because in most schools, there are tons of office politics and boot-licking. The system rewards teachers for backstabbing and carrying-tales. They act righteous in front of students and parents, and back-stab like crazy when people are not watching. 3. Many principals and school leaders are incompetent. Some principals are notorious in their clusters for victimizing teachers, bullying their staff and overworking their staff. Yet, they continue to stay despite being formally investigated by MOE after numerous complaints from their staff. 4. Enough incompetent school leaders aspire to be principals and vice-principals because they know once they reach up there, they cannot be removed on grounds of incompetency. At worst, they would be deployed to be director of some special projects group at HQ or stat board and continue to draw their fat salaries. 5. 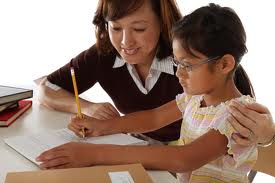 Your kids would need tuition because despite what some principals say, teaching well is not important. Nor is it being properly rewarded. Most teachers earn their promotion and bonuses through their non-teaching contributions – CCAs, committee work etc. Very few teachers get their promotions based on teaching well, or staying back extra hours to help weaker students. Those are not considered valuable contributions in the annual ranking schemes. 6. In case you still don’t get it, your kids need tuition because the average teachers are too busy or not interested to teach well. Neither is your school’s principal interested to be a good principal because if he or she is incompetent or tyrannical, he or she will still remain a principal for many years to come. 7. The primary school math model method is downright stupid. All primary school kids, upon transitioning into secondary schools and junior colleges/polys/ITEs, use algebra in the end. Primary school math curriculum insists on using the model method, treats algebra with great disdain as can be seen from its obvious reluctance to teach it and penalizing students for using algebra even when the answers obtained are perfectly correct. 8. Secondary school teachers have to waste time to get primary school students to unlearn all the modeling nonsense and relearn their math for higher education. Model method is not considered an integral part of math thinking for modern mathematics. Can’t imagine why so many countries think so highly of it, when most secondary school and JC math teachers think model method is out of sync with most post-primary math topics from algebra, calculus and everyday application math. Get tuition for your kids.